Support The Calyx Institute by making a donation and becoming a member, and while you're at it, get some great benefits ! The lack of online privacy and security have become front page news over the past several years. Most of the world's electronic communications are being collected by governments and corporations, with little oversight or consent. The Calyx Institute played a crucial role in bringing these issues into the forefront and keeping them there. Like a calyx opens to support a flower in bloom, our goal is to continue and expand, creating a more robust and self-sustaining organization dedicated to online privacy and security issues. In 2010, Founder and Executive Director, Nicholas Merrill had to stress the importance of cyber privacy and security. He didn't mind. Merrill had just been partially un-gagged from a National Security Letter received from the FBI in 2004 as the owner of a small Internet Service Provider. It was the first constitutional challenge filed against the USA Patriot Act statute. The experience prompted him to found The Calyx Institute. In seven years, working with a shoestring budget, we've set up our organizational structure including 501(c)(3) tax exempt status, assembled a stellar advisory panel, leading partner organizations, supporting foundations and a network of supporters. Together we've published and translated educational materials, trained journalists and activists, inspired and continued ongoing litigation, attended conferences, generated press coverage and developed new technologies. Take a look. CanaryWatch is a tool for tracking and alerting when service providers receive legal process, such as National Security Letters, but are prohibited from saying so. 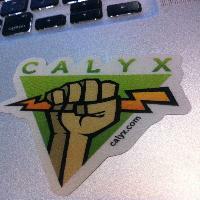 It is a partnership betwen Calyx and the Electronic Frontier Foundation, Harvard Law School's Berkman Center for Internet and Society and NYU's Technology Law and Politics Clinic. Aroundblocks - these censorship circumvention teaching materials and training videos increase accessibility to privacy tools. Aroundblocks provides instructions on using Tor, a public anonymity network, and more specifically setting up bridges, or hidden gateways, into the Tor network for added security. Conferences, speaking and participation: PopTech, CCC Congress, HOPE, Turing Festival, Brooklyn Law School's Legal Hackathon, SXSW and many more. Events: Workshops, film screenings, cryptoparties and hackathons. Press coverage and social media: we've been featured in The Wall Street Journal, NPR, The New York Times, Reddit, CNET, PBS and others. The free network encryption service we maintain at Calyx.net via the LEAP Encryption Access Project. Our encrypted Jabber/XMPP service with TLS Forward Secrecy/DNSSEC/Tor Hidden Service/DANE-TLSA support. Our many Tor exit nodes that form a somewhat significant portion of the Tor anonymity network. Thanks to the Yale Media Freedom and Information Access Clinic Nick Merrill has become the first person ever to get a National Security Letter gag order lifted completely so he can share information crucial to the public policy debate. Participated in the filing of an amicus (friend of the court) brief in the National Security Letter litigation in the 9th circuit known as "In re: National Security Letter, Under Seal v. Holder"
By completing your donation, you hereby acknowledge that you are making an irrevocable gift to The Calyx Institute to support its non-profit mission. If you do not agree, then do not complete and submit this form. No thanks, I do not want any premiums. Just take my contribution. 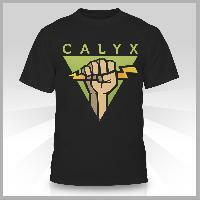 A Calyx Institute T-shirt with our logo printed on it. Available only in black, crew neck. 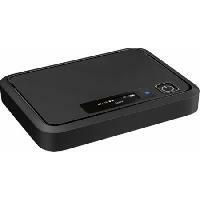 A mobile hotspot which can do 3G as well as 4G, which gives a much larger coverage area. For current model info see the Wireless Data Equipment page. 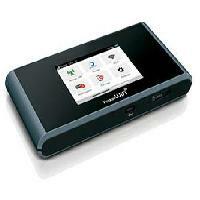 A 4G / LTE Mobile "Hotspot" with 1 year of Wireless 4G / LTE "30GB+" Internet access. Only available in the United States. See Sprint 4G / LTE Network map for details of signal coverage. You also get a T-shirt and stickers. For current hardware model please visit our Wireless Data Equipment page. postal contact info in order to ship the items to you. We are using UPS for delivery so P.O. Boxes are not acceptable - we need a street address. If you will be taking the 4G / LTE membership benefit, you must agree to the terms of the End User Terms of Service which details the terms and conditions of the service, including limitations on speed and geographical coverage, conditions for continued service, prohibited activities, acceptable use, technical help, customer service, disclaimers of warranties, limitations on liabilities, responsibility for costs and the handling of copyright claims and disputes. To accept the End User Terms of Service, please signify your acceptance and agreement to be bound by its terms by clicking on the "Yes" button below. The Calyx Institute is a public charity, which is exempt from taxation by the IRS under §501(c)(3) and as such, contributions will be tax deductible to the donor to the extent provided by law. Our tax ID number is 27-2800937. If you would like a copy of our IRS determination letter for your records, it is available on our website. We are registered and file an annual report with the Charities Bureau in the office of the New York State Attorney General. A copy of the annual report may be obtained upon request, from the Institute at the address set forth on the Institute's website under "Contact info and Directions", or from the Charities Bureau, New York State Attorney General, 120 Broadway, 3rd Floor, New York, New York 10271.